Just recently True Mother stopped using two separate chairs for her and True Father in public gatherings. She instead now uses one chair to sit, perhaps giving the impression there was no chair for True Father. 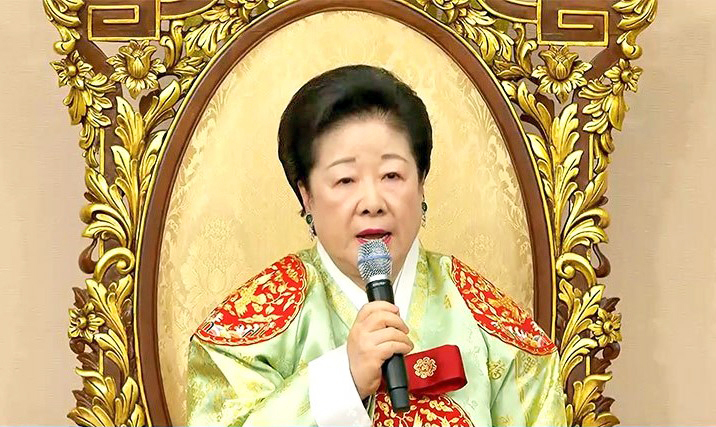 But her reason for the use of only one chair was explained publicly by a Korean leader: it is that God, True Father (Rev. Sun Myung Moon) and True Mother (Mrs. Hak Ja Han Moon) have already become completely one, constituting a Trinity. To me, it makes sense. Only one chair would be needed as long as the Trinity of God, True Father and True Mother is there. Perhaps the traditional Christian doctrine of the Trinity, which shows how the three persons of the Father, the Son and the Holy Spirit are united in the Trinity, can help us understand how God, True Father and True Mother are united in their Trinity. A first way how the traditional Christian doctrine of the Trinity describes the unity of the three persons is by talking about their “mutual indwelling” or “interpenetration” (perichoresis in Greek; circumincessio in Latin), and it is supported by Jesus’ own words: “I am in the Father and the Father in me” (John 14:11). While this Greek term, perichoresis, was originally used to describe the relationship of unity between the divine and human natures of Christ, St. John of Damascus (c. 676-749) for the first time extended it to the Trinitarian unity in the sense of mutual indwelling or interpenetration, and its Latin translation, circumincessio, came later. Whether in Greek or Latin, it became a technical term for the Trinitarian relationship in the above sense. In the same way, we can perhaps say that God, True Father and True Mother, in their Trinity, have the relationship of mutual indwelling or interpenetration. A second way the traditional Christian doctrine of the Trinity describes the unity of the three persons concerns their “outward operations” (opera trinitatis ad extra) in the divine economy. Usually considered to have come from St. Augustine (354-430), it says that the three outward operations of “creation,” “redemption” and “sanctification” in the divine economy, which may be attributed primarily to the Father, the Son and the Holy Spirit, respectively, are nevertheless “indivisible” (opera trinitatis ad extra indivisa sunt), so that all three persons are involved in each of these outward operations. This means the Son and the Holy Spirit, too, are involved in the operation of “creation,” which is attributed primarily to the Father; that the Father and the Holy Spirit, too, are involved in the operation of “redemption,” which is attributed primarily to the Son; and that the Father and the Son, too, are involved in the operation of “sanctification,” which is attributed primarily to the Holy Spirit. In the same way, we can perhaps say that True Father and True Mother are deeply involved in the godly operation which is attributed primarily to God; that God and True Mother, too, are deeply involved in the masculine, fatherly operation which is attributed primarily to True Father; and that God and True Father, too, are deeply involved in the feminine, motherly operation which is attributed primarily to True Mother. A stained glass symbol of perichoresis. The above two ways can explain why True Mother again and again looks, sounds and does things like God and True Father would do. For example, look at her profound insights on tackling issues such as the environmental problem of the earth. They are like God’s. Also, look at her recent bold decisions and moves, such as conducting a rally of 80,000 people in Korea and traveling to Senegal to hold the World Africa Summit. To some, they might seem very masculine like those of True Father. Look at her strong confidence in what she is doing. It evokes True Father. One might, however, ask if the above two ways of describing the Trinitarian unity of the Father, the Son and the Holy Spirit in Christianity can legitimately be used to explain the relationship of God, True Father and True Mother in the Divine Principle. For whereas the Father, the Son and the Holy Spirit are of the same substance within the Godhead, aren’t True Father and True Mother creatures discrete from God? In fact, there is one significant difference between the Christian and Unification doctrines of the Trinity. It is that while Christianity only talks about the Trinity within the Godhead, the Divine Principle talks not only about the Trinity within the Godhead but also about the “substantial Trinity” of God, True Father and True Mother, which involves the realm of creation. In Christianity, the Trinity within the Godhead refers to the Father, the Son and the Holy Spirit within the Godhead, constituting the so-called “essential Trinity.” In the Divine Principle, the Trinity within the Godhead references the three basic attributes of God which are heart and God’s own dual characteristics, and it can be called the “inner Trinity.” The Divine Principle additionally talks about what can be called the “outer Trinity,” which is the substantial Trinity of God, True Father and True Mother, involving the created realm. 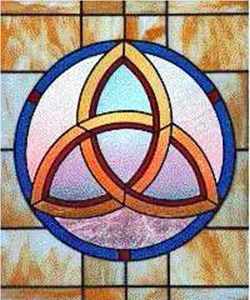 In Christianity, of course, the “essential Trinity” of the Godhead is also called the “economic Trinity,” when its outward Trinitarian operations of creation, redemption and sanctification in the divine economy are paid attention to; this economic Trinity may look like the outer, substantial Trinity in the Divine Principle. But the economic Trinity is not at all discrete from the essential Trinity in Christianity. The essential and economic Trinity are merely two different names of one and the same Trinity within the Godhead. The Divine Principle, by contrast, distinguishes between the inner Trinity within the Godhead (heart and God’s own dual characteristics) and the outer, substantial Trinity (God, True Father and True Mother), making the two discrete sets of the Trinity. Here, however, the important thing we have to know to address the above question is that the inner and outer Trinity, even if discrete from one other, can be perfectly united according to the Divine Principle because the outer, substantial Trinity is the complete reflection or substantiation of the inner Trinity. The Divine Principle’s unique ontology of give-and-take action in dual characteristics, which can consistently apply to the whole of reality including God and creation, can maintain that the realm of God and that of creation can be perfectly united, whereas Christianity, having no such ontology and therefore considering God and creation to be infinite and finite, respectively, cannot affirm their perfect unity. This is the reason why even the Greek notion of perichoresis and the medieval phrase of opera trinitatis ad extra indivisa sunt, which can usually apply to the Trinity within the Godhead in Christianity and perhaps to the inner Trinity within the Godhead in the Divine Principle, can legitimately be used to explain the relationship of the outer, substantial Trinity of God, True Father and True Mother in the Divine Principle. The age of Cheon Il Guk has come in which God’s ideal of creation is substantially established, and in which the substantial Trinity, even visible now in the use of one chair, is the center of our lives in place of the Trinity within the Godhead alone. 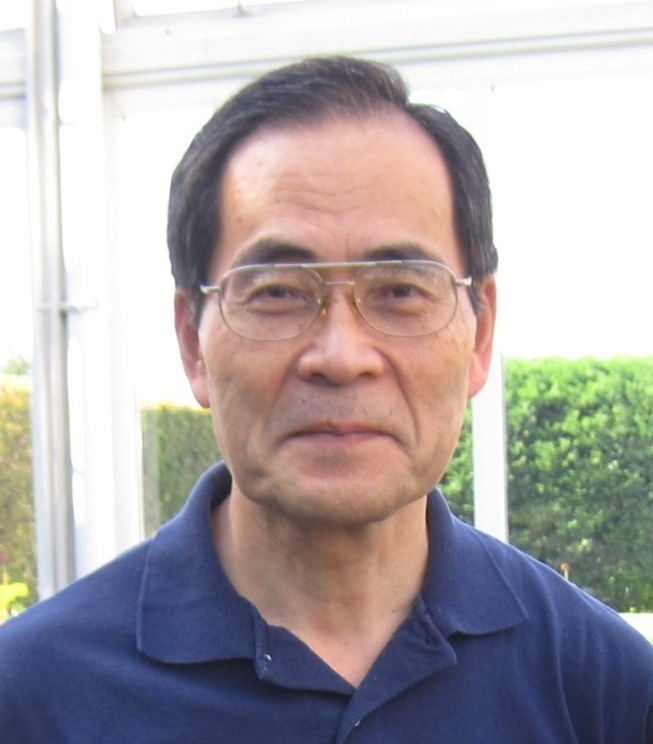 Dr. Theodore Shimmyo (UTS Class of 1977) served as President of Unification Theological Seminary from 1994-2000. He currently teaches a variety of theology courses as an adjunct faculty member of UTS, and is working on a new book on Unification theology. He lives in Irvington, NY. Although I understand the explanation given by Dr. Shimmyo, the fact remains that it creates a shock for each member. I do not think that in the first centuries of Christianity there could have been such a radical simplification as to the representation of the Trinity. With regard to the reality of the couple of our Father and our Mother, I do not think that this choice is opportune. I feel rather a rejection, a deliberate desire to remove something disturbing for our Mother, nothing more. Thank you for your comment. Whatever position you may have on True Mother’s use of only one chair, however, I must say for the sake of historical accuracy that already in the third century the traditional Christian doctrine of the Trinity was quite firmly established by Tertullian (c.155-c.240), who avoided and went beyond two extreme heretical Trinitarian views around that time: Modalistic Monarchianism and Dynamistic Monarchianism. So, when you “do not think that in the first centuries of Christianity there could have been such a simplification as the the representation of the Trinity,” you are not really accurate. It’s DP logic that one day this trinity must be fulfilled here on earth by people in the flesh. This is what True Mother has to fulfill. I know very well the meaning of this because I was trained for many years in a Catholic school as a future priest. As 12-year-old boys, we were discussing together with friends about the meaning of the trinity. We learned three persons are one person. But none of the Catholic priests could explain this dogma. After three months, my friends and I gave up finding the solution to the trinity. I am incredibly happy about the fulfillment of my childhood dream. Everybody has to fulfill his/her personal trinity. I wish we would pay less attention to a chair and more attention to the person who is sitting in the chair. It amazes me that still today too many Unificationists are behaving as if we were infants. We behave like a child who asks “Why” multiple times a day to the parents. I thought we were adults already; many of us have children and grand-children. Why do we insist on keeping our diapers on! If we are not capable of answering these multiple questions ourselves, there is no way that we can possibly lead humankind to God. I don’t expect myself to know everything but for God’s sake — a chair! We behave just like people who speak about the female news anchor and questioning why she is wearing the same dress as yesterday and why her hair or her make up is…. If we are not able to go beyond that kind of pettiness, how can we expect the people who do not know the Divine Principle and who have not studied the multiple guidance from True Father, become the kind of individuals we would want them to be. We better make it happen within first. My heavenly sister, Anne Marie, I have to say thank you. Yes! We are so distracted by useless things. We still have much to do. Do we really understand our responsibility and life in the spirit world? I have read your comments three times and could not figure out to whom it is addressed. You use “we” 11 times if I counted correctly. I for one do not feel and think that your concerns apply to me, whether in reference to the chair, the female news anchor, or otherwise. Is your criticism directed towards Mother, because she made changes concerning chairs? Or is it directed towards the author of the article who decided to write about this topic? Or is it directed towards brothers and sisters — which the use of “we” might suggest? Appart from my questions above I believe the focus of our movement should be less on sophisticated theological concepts and more on offering real solutions to existing problems in the world, to specific countries, to families and individuals. Unfortunately, theology can be divisive and in some cases make enemies of former brothers and sisters. I know of several such cases. I used to use “one” like in the sentence, “One will say this or that,” but I was told that it not good English. My native language is French, and even though I speak English better than many of my French compatriots, my vocabulary is still limited so it will be impossible for me to satisfy everyone. I was directing my comments towards all of us, myself included, my brothers and sisters from the Unification Movement. I agree with you that we have to cease to be like infants who create chaos and confusion. It seems to me, however, that even after becoming mature adults, we will continue to have many questions and answers among ourselves, the reason being that we will never behave like robots of uniformity in the future kingdom. There will still be diversity in unity, giving rise to excitement of give-and-take action amongst different people who we are. I always try to do theology with that in mind. Thank you. I agree. That is why I don’t write much here, though I read. I am not a theologian and I don’t feel capable most of the time in responding to posts. However, once in a while, I get all “fired up” when I see what feels to me, childish. I wish that True Mother did not have to worry about which chair she is supposed to sit on. I remember a few years back when she sat on the “wrong” chair. I was so upset that we would spend so much time on that topic. To me, it was so ridiculous, frankly. This situation about “a chair” shows to me how far away we still are from being the kind of people God intended us to be from the start. We have a long road, still. But, if we do not give up, we will get there. That, I truly believe. I love it that True Mother is simplifying, streamlining and “standardizing” (for lack of a better word) our core values and beliefs. Since True Father was so dynamic, instituting changes all the time, why does she not get to do the same? Now that she has made this small but significant change, I can see how silly, pointless even, it was to have an empty chair next to her! It truly does not reflect our beliefs to imagine or think that True Father is actually sitting in that empty chair. Your theological interpretation is much appreciated and I agree with you that True Mother is emboldening True Father’s own footsteps in spirit. She is a leader in her own right and brings a breath of fresh air wherever she goes. 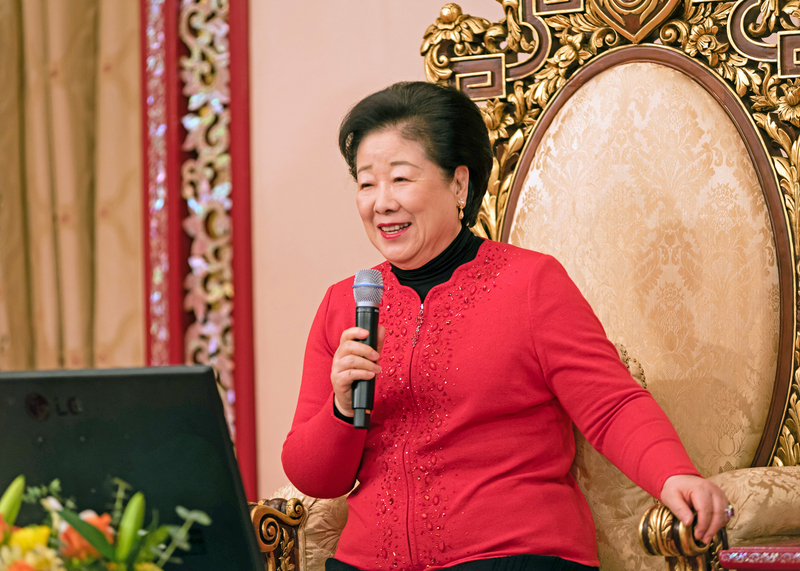 Thank you, Dr. Shimmyo, for clarifying that God, True Father and True Mother are united as one, so there is no need to have a second, empty chair. Now that True Father is in the spirit world, he can readily dwell within True Mother’s body, and she represents them both. In my view, the presence of a second, empty chair would suggest some degree of disunity, not unity. When I joined our movement in 1974, our kyung-bae tradition at morning service was to offer three bows: one to God, one to True Father and one to True Mother. Some time later, True Father changed it to two bows: one to God and one to True Parents, signifying that True Parents were united as one. Some time after that, he changed it to one bow, signifying that God and True Parents were united as one. So now when I see True Mother using one chair, it makes perfect sense to me. I hope we can see it as signifying True Parents’ unity, and that our younger generations can be made aware of the progression of changes True Father instituted in the kyung-bae tradition. Thank you for your insight from the perspective of the kyung-bae tradition. And references to (any/all) Christian theology as somehow authoritative (or simply comparative) seem inappropriate, unless, of course, it is. Isn’t DP itself (purportedly) more nuanced and more multi-dimensional than that? Our True Father has a unique position. As Lord of the Second Advent, he is Christ who has returned to give salvation to fallen man. Our True Mother has her own unique position as the incarnate, Holy Spirit. Their positions and purposes are different and not interchangeable. As the Divine Principle states, when we surrender to Christ the condition set by our faith in him allows God to send the Holy Spirit through whom we receive rebirth. Proper etiquette always called for two place settings and two chairs to be set aside for True Parents, when they were not physically present with us. We should keep this tradition because it is proper and reminds us of the uniqueness of their individual authority and position before Heaven and ourselves. Bravo, to TM! She is indeed dynamic and bold as was/is TF and is doing precisely what she needs to do, that which TP always did, together, spreading truth and light and…the blessing. TF, in my mind, was never about being idolized, deified, or…worshipped. With some arguing about “how many pictures,” how many chairs,” it seems petty and quite absurd, just an excuse to be rebellious. I appreciate Dr. Shimmyo, as the theologian and scholar he is, for explaining it way too descriptively for a mere mortal, but he obviously “felt called” to do this as there are some who, for some strange unfathomable reason, love to pontificate and list strings of Bible quotes ad infinitum to bore us and justify untenable positions…and rebellion. And of course, there are some, as sport (and it is okay with me) who love to thrust and parry their swords of intellectual prowess as a testament to the success of their studies. There’s room for all at the table. Thank you, Dr. Shimmyo . I am glad you have confidence in DP and can do without Christian theology. Quite often, however, it can be a useful tool. My article just happened to use it. Well, for me, it is (simply) even more than that. Dr. Shimmyo, does the logic of your opinion lead to a conclusion that TF got it wrong when he used two chairs for the Coronation Ceremony for the Kingship of God in 2001? I can think of arguments for two chairs — God of the Day/God of the Night, HF/HM — and also given TM’s recent change to one chair, that only one chair should have been used as if now God/TPs are one, there is no question that God was one 17 years ago. However, there is no denying that two chairs were used in that pivotal, providential ceremony.